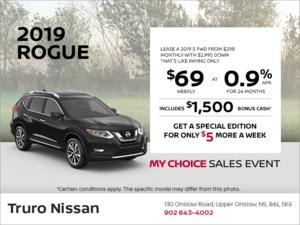 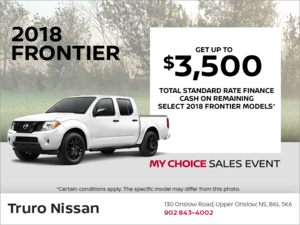 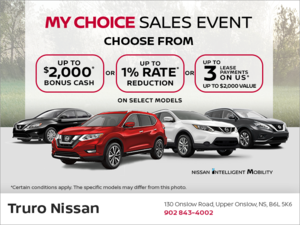 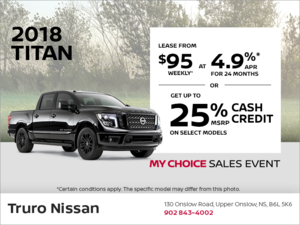 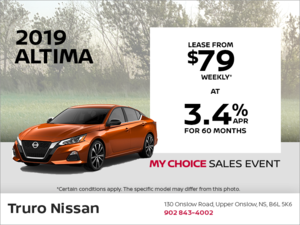 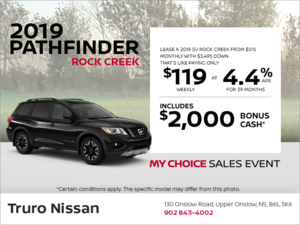 Lease the 2019 Nissan Armada starting from $699 monthly at 3.8% for 48 months with $5,990 down! 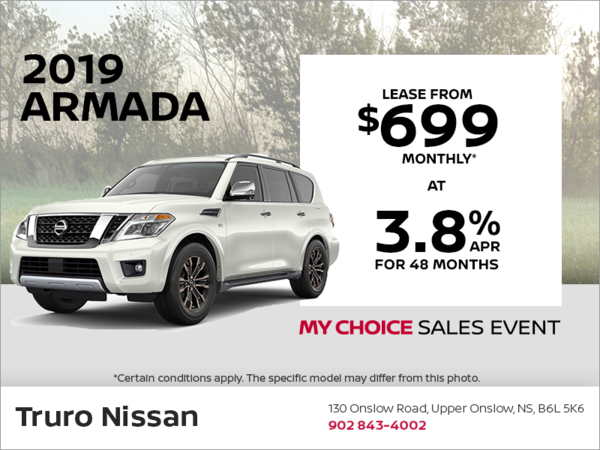 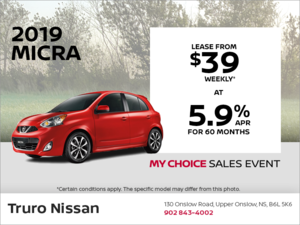 *Representative monthly lease offer based on a new 2019 Armada SL AWD at 3.8% lease APR for 48 months equals monthly payments of $699 with $5,990 down payment, and $0 security deposit. 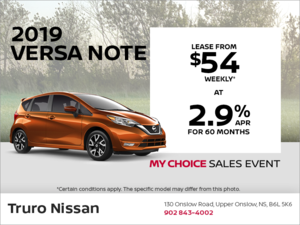 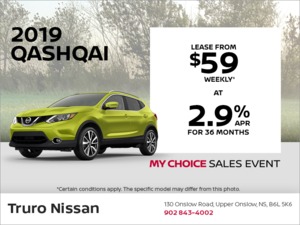 Lease based on a maximum of 20,000 km/year with excess charged at $0.10/km. 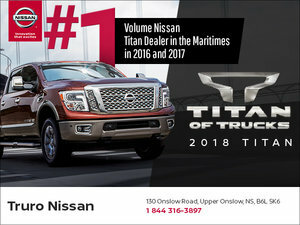 Total lease obligation is $39,511. 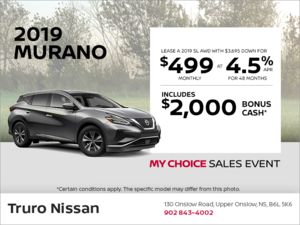 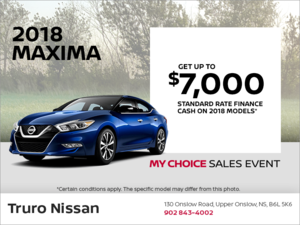 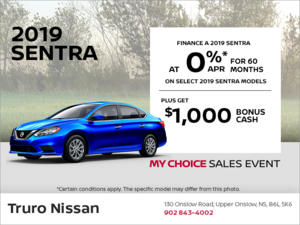 Lease Cash of $0 and $3,000 bonus cash is included in the advertised offer. 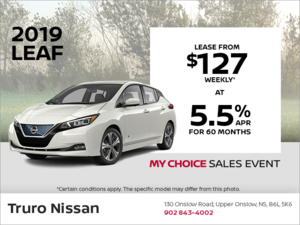 Freight and PDE charges $1,950 air-conditioning levy ($0), applicable fees, manufacturer’s rebate and dealer participation where applicable. 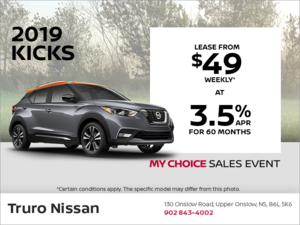 License, registration, insurance and applicable taxes are extra.